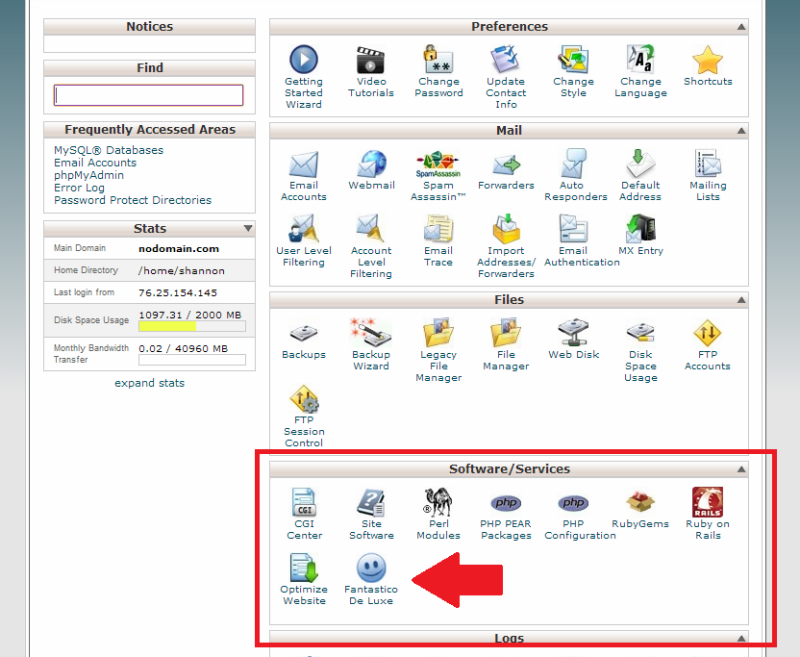 Wordpress has a simple installation through the cPanel. **NOTE** The actual location of YOUR Software/Services block may vary, as the different areas can be dragged & dropped into different locations! You may have to scroll down to see it! Before running the script, you will want to add your specific data, such as the directory name (this will be similar to yourdomain.com/blog, /boudoir, /seniors. etc. ), and the database name (the easiest option is to use the same name as the directory). DO NOT change the Database Settings. 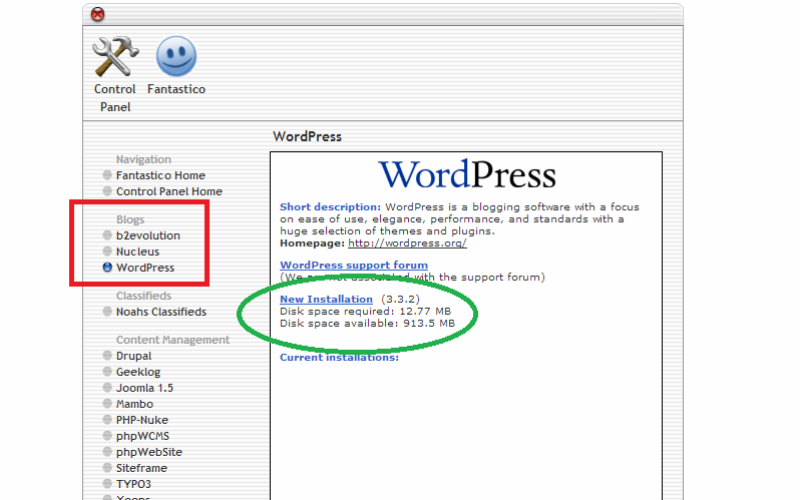 Your Site Settings can be changed within the wp-admin once the installation is complete. And make sure you set a STRONG password! 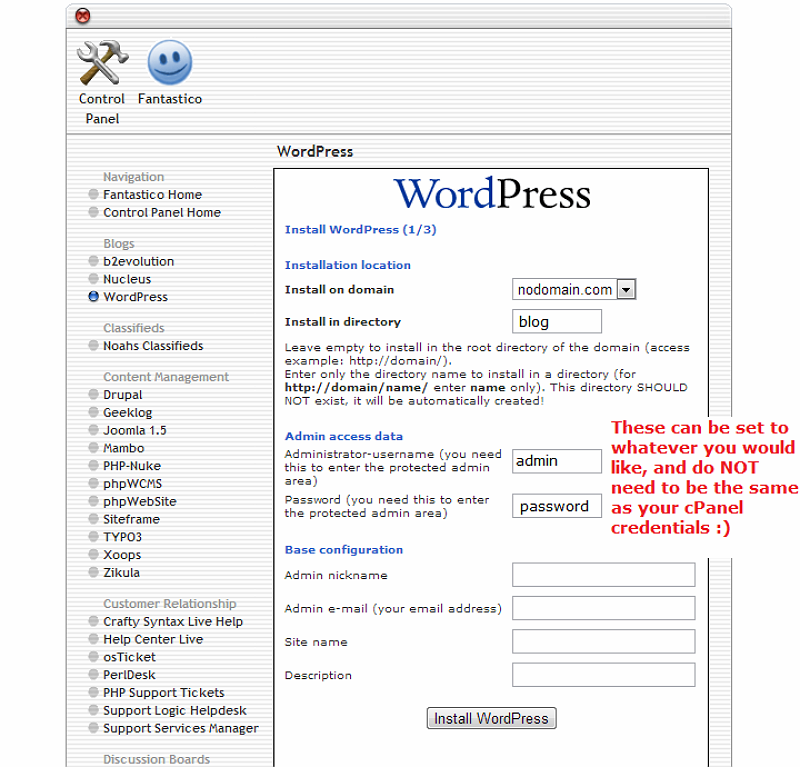 Once the script has run, you will be presented with a confirmation of the successful installation, and your new blog links! And, contact support@portfoliositez.com for additional assistance!